Sat Yoga Satsang This Saturday! Following the satsang, some of our sangha musicians will join together in the back garden (weather permitting) to create some divine melodies. If you have an instrument, drum, voice, or song that you would like to share, please bring it along. Schedule: This Saturday, March 3, at 7pm. Doors open at 6:30pm. Parking: We are asking all to park outside of the institute, but to please be mindful of our neighbor's lawns and property when choosing your parking spot. And please help our guard and his family with a good tip! Please Register As Soon As Possible by calling our volunteer staff at 2288-3294 or confirm by email. Please arrive on time so as not to interrupt the meditation experience for others. We look forward to sharing the sacred space with you, and being with each other in Truth. Om Shanti. This paradigm-shifting seminar will introduce you to all the fundamental concepts employed in Sat Yoga classes. It will enable you to participate fully in discussions and provide you with a larger and more encompassing identity and set of tools with which to navigate through life. The insights you will gain from this weekend seminar will crack open the ego shell and reveal the Pearl of Great Price at the center of your Being. It will shake you out of your comfortable (and/or miserable) egoic certainties and take you beyond the event horizon of mundane "normal" life. It will reveal that the sense of lack that plagues your life has all along been the gateway to eternal bliss-but now you will know how to make that bliss forever real and actualized in your everyday existence. Not only will you receive the conceptual blueprint of the illusory egoic complex which has been ruling your mind, but you will be further aided by guided meditations that take you into the higher dimensions of Being, enabling you to liberate yourself in real-time from the delusions of Maya. You will learn the art of total mastery over the ego mind. You will learn to wield the sword of the spiritual samurai, the archetype of the flaming sword of Truth, and cut through the Gordian knot of the false self in one fell swoop. You will learn that you can silence the mind at will and ceaselessly abide in the deep silence of divine love and serenity that is our Supreme Reality. Be a true pathfinder. You must have the courage and willingness to take the journey of Self-discovery all the way to its glorious denouement. Join us for this seminar if you dare-to be great. When: 10am-5pm Saturday & Sunday, March 10 & 11, 2012. Lunch and other refreshments included both days. Partial scholarships are available to those with financial limitations (but our number of scholarships are limited, so please inquire soon). Please talk to Radha if you need a reduced fee and can do karma yoga in exchange. Students who have already attended Seminar One but would like to take it again can participate for half-fee ($100). To secure your seat, we are asking for a 50% Non-refundable deposit. Please register at least one week in advance. Thank you. The legislature approved for the second and final time Monday a law to forbid smoking in most public and private locations. The vote was 45 to 2. The action was expected because the measure had been approved overwhelmingly in an initial vote, and the country already said it would take this action when it ratified an international treaty against smoking in 2008. The law, when signed by President Laura Chinchilla, will take about 18 months to go into effect. Then there will be stiff fines for persons who smoke in forbidden places. And these are about anywhere someone may be except the open air and their own home. Those who dare smoke in a forbidden location face fines. The average citizen or resident who is caught smoking in a prohibited place will face a fine of 15 percent of a base salary, which now is 316,200 colons. So the fine would be a bit more than 47,000 colons or about $94. The proposed law prohibits advertising related to tobacco products. And cigarette packages have to have 50 percent of the outside space dedicated to health messages. COTTAGE CHEESE (especially good cottage cheese) can be a challenging thing to find in Costa Rica! This story is from Chris Long, submitted as part of our Wisdom From Our Elders collection of self-sufficient tales from yesteryear. I grew up in a self-sufficient homestead on the plains of North Central Kansas in the 1930s. My mother often made homemade cottage cheese. We always used skim milk so the cream could be taken along with the eggs to “trade” for groceries. We were eating “healthy” and didn't know it! We let a gallon of the milk set on the back of the cook stove (where the water heated, it was always warm) until it "clabbered." The clabbered milk should look kind of like jello. This could take a day or more. When I make cottage cheese today, I add a half cup of buttermilk (How to Make Your Own Buttermilk - http://FrugalLiving.about.com/od/condimentsandspices/r/Buttermilk_Sub.htm), which speeds the process up, and I make it in my crockpot at a low temperature. Then, I use a large whisk to stir occasionally and cook until curds form and separate. This process takes a day or more. Place cheesecloth in a strainer or colander and pour mixture in. Drain thoroughly. Add cream or half-and-half, salt and pepper. Enjoy! I found another recipe on the internet for quick cottage cheese. Heat a gallon of skim milk to 120 degrees Fahrenheit, remove from heat, and add 3/4 cup vinegar. Stir slowly for 1 to 2 minutes. Curd should separate from whey. Cover and let set for 30 minutes, drain through cheesecloth, and rinse in cold water. Squeeze as dry as possible. Add 1 1/2 teaspoon salt. Add cream or half-and-half as desired. 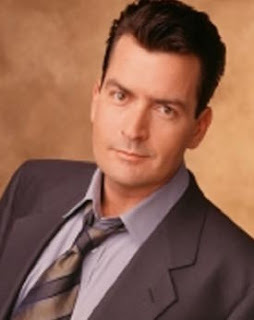 Charlie Sheen will be the Master of Ceremonies. Brunka Producciones (a partnership of Craneo Metal and Costa Rica Metal) expects some 20.000 people, lovers of rock music, to attend. Got a DENUNCIO/legal judgment against you? You might not want to attempt to leave Costa Rica! Got a DENUNCIO/legal judgment against you? You might not want to attempt to leave the country!!! To ensure that a person with a date with Costa Rica's judicial system does not flee the country, it applied what is called an "impedimento de salida". This legal action allows immigration officials at border crossings - land, air or sea - to stop them from leaving Costa Rican territory. But, we have read it over and over in reports where people do get through, that is they are able to evade jurisdiction by going to Nicaragua or Panama, as well as other destinations. This occurs when someone looks the other way, as is the case of the detention of a group of "gavilanes" (hawksters) by the Organismo de Investigación Judicial (OIJ) dedicated to irregular procedures at Paso Canoas border crossing. Authorities say the group charged us$500 or more to give someone the ability to leave the country though they were restricted from doing so. One immigration official was also detained in the police operation that used marked money to uncover those involved. To leave Costa Rica, a person has to check into an immigration post where the officer checks the passport against a database. If the person is restricted from leaving the country, could be for failure to pay child support or alimony or a date with justice, they are denied the exit stamp. The procedure is clear and up front at the land border crossings at Paso Canoas (Panama) and Peñas Blancas (Nicaragua), however, occurring behind the scene at airports like the Juan Santamaría and Tobias Bolaños (Pavas) in San José and the Daniel Oduber in Liberia. At airports, passengers are required to hand in their departure tax form to the airline, which in turn hands it over to immigrations officials who do a database check before the flight is allowed to leave. If a person is found to be restricted they will be pulled of the flight if not detained at the boarding gate and the reason for the "one hour"* early rule for international flights, allowing time for the behind the scenes process to take place. *Airlines are not permitted to issue a boarding pass to international passengers if they arrive at the counter less than one hour before the flight is scheduled to leave. Starting next month it will be easier to fly to and Costa Rica and Mexico and connections with the start of of daily flights by Aeromexico. The flights will start on March 15 the company announced and part of its expansion in Latin America. Aeromexico said it will use a Boeing 737 with a capacity of 134 passengers on its flight between Mexico City and the Juan Santamaria (San José) airport. Aeromexico will fill the void of direct flights to and from Mexico and Costa Rica with the failure of Mexicana. The company said it will also start flying to and from Colombia starting March 9. Airways of Mexico, SA de CV[(Aerovías de México, S.A. de C.V.), operating as Aeroméxico, is the flag carrier airline of Mexico based in Colonia Cuauhtémoc, Cuauhtémoc, Mexico City. It operates scheduled domestic and international services to North America, South America, Central America and the Caribbean, Europe, and Asia. Its main base is Mexico City International Airport. Aeromexico is a subsidiary of Grupo Financiero Banamex, a subsidiary of Citigroup. Democrats Abroad Costa Rica•DACR - February Meeting - “Foreign Account Tax Compliance Act - FATCA - What it Means to You""
"SEARCH" our site for "DACR"
FECHA LIMITE DE INSCRIPCION: Lunes - 05 de marzo. Monto: ¢15.000 en la mañana o en la tarde, paquete completo, precio especial ¢80.000 (incluye certificado de participación). Had a HARD time finding a HEADSET for your computer that has a USB thingie/port (ALL the ones I've found in over 10 stores including most of the big boys had the 2 prong which does NOT work with my laptop), PLUS be Apple / Macintosh compatible, PLUS be Skype compatible? I JUST found one on the Skype page that sounds BEYOND perfect AND and INCREDIBLE DEAL!!! • Skype certified for guaranteed quality and ease of use. • Convenient USB adapter for use with PC’s, Mac’s and laptops. • Comfortable noise isolation ear cushion prolongs music enjoyment. • Rich and full range digital audio performance. • Slim 7 durable stainless steel headband. • Flat folding design to enhance portability. • In-line microphone with push-to-talk button for talking on calls. + 60 minutes FREE Skype Credit!!!! UNFORTUNATELY this GREAT DEAL headset is NOT located in Costa Rica so you'll have to have it sent to someone - or your PO Box in the U.S. and somehow get it to you in Costa Rica as I don't believe Skype ships to Costa Rica but it's small so shouldn't weigh much. The FIRST person I call when I have a problem with some sort of appliance (fridge, dishwasher, stove, oven, washing machine, dryer, freezer) is Melvin! Melvin is AWESOME! He is VERY FAIR with his prices AND - he GUARANTEES HIS WORK for up to 6 MONTHS (how many others do that in Costa Rica [and honor it!!!])!!!! COMMENTS: Melvin was VERY resourceful in helping me "Tico-ize" things with my "fiscally challenged" times (ie; get me a temporary fix on some OLD appliances - to get it working - for NOW). One funny one was on this OLD purple fridge I had where the seal wasn’t sealing properly around the door so he put VASELINE around it and it SERIOUSLY worked for another year!!!). He's also done a REALLY GOOD job when I DID have $$ to fix things properly. ALL of the people I know that have used him have RAVED also!! LOCATION: Escazu - but he’ll come on his motorcycle to you all over (though if you're further out, there will be some sort of nominal fee for the extra time/gas). 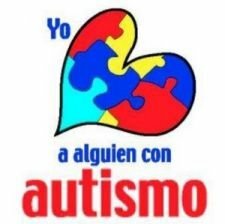 Please "Share" this link / Por favor, "Compartir" en este enlace - with everyone you know that would ENJOY IT!! / con todo el mundo sabe que lo disfruten!